How do you put young people at ease at a time when their confidence is low and the prospect of doing a new activity away from home is daunting? Have people there who know EXACTLY what they are going through! 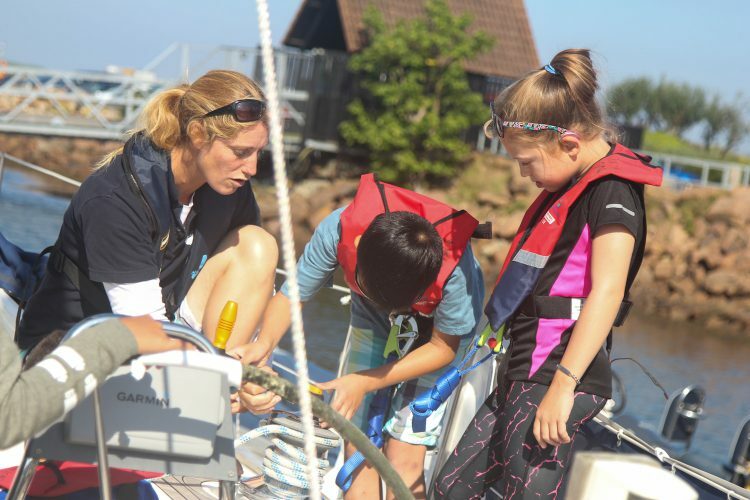 All young people who sail with the Trust after cancer have the chance to train as trip volunteers. Many young people sailing with the Trust for the first time have never really been able to talk or articulate their feelings about cancer to anyone before. It is also common for them to have never met adults who had cancer as young people. That is why our volunteer young people are in a unique and priceless position. There is nothing more powerful for a young person in the early stages of recovery seeing and talking to older volunteers who understand exactly what they have been, and still are, going through. Looking up to young people who are now healthy, confident, enjoying life and looking ahead to positive futures when they too were once racked by the same fears, doubts and shyness is very aspirational for a young person on a first time trip. For the volunteers, knowing they can help another young person, simply by understanding and communicating with them in a way few others can, is very rewarding too. It helps them continue their own recovery with the Trust whilst also supporting first-timers. On average each trip has three volunteers who first sailed with the Trust in recovery themselves, and we now have trips crewed entirely by volunteer young people, including as skippers and mates. Our annual Volunteer Training and Update Day is one of the most important dates on our calendar – bringing our volunteer young people, new and current, up-to-speed with the trips, how they work, what their role is and how their input can ensure every young person has the best trip possible. The aim? To provide lots more friendly shoulders for young people to lean on.